Written by Irish author Jackie Hayden, (the first man to sign U2 to a record contract and author of a recent book on Dylan Thomas), NAKED MUSIC is published by Hot Press, Eire. Containing some fascinating and in-depth interviews with Eleanor McEvoy and Chris Gollon it tracks their journey into artistic “boundary crossing”. It began with Eleanor buying a Gollon painting entitled ‘Champagne Sheila’, which led to the concept of her album NAKED MUSIC, featuring new songs by McEvoy and some co-written with either Dave Rotheray (ex The Beautiful South) and Lloyd Cole. 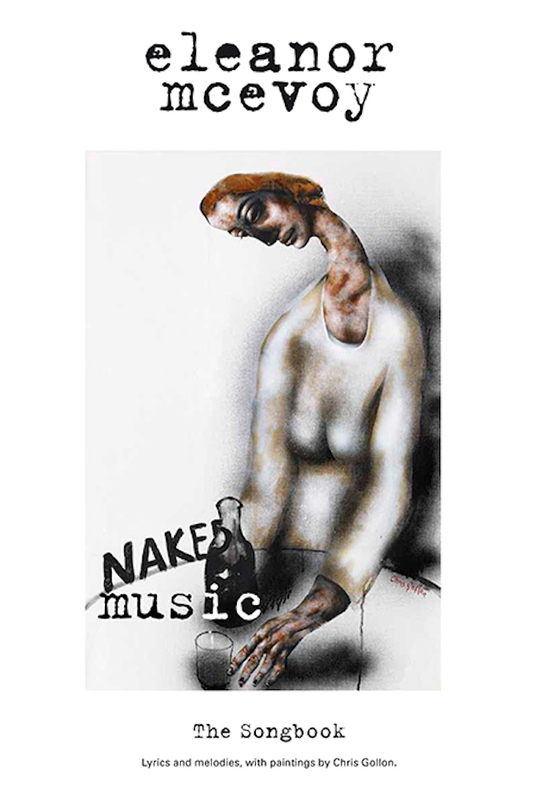 The songs then inspired Chris Gollon to paint 25 paintings on the NAKED MUSIC theme, some of which have then inspired new songs by Eleanor, leading to new paintings by Chris Gollon. This wonderful new book tracks how this unusual dialogue of music and art started and remained ongoing until Chris Gollon’s death. It features all the songs, many of the paintings and an excellent and thought-provoking text by the author. Available from Amazon, IAP Fine Art, or direct from the publisher: Hot Press.